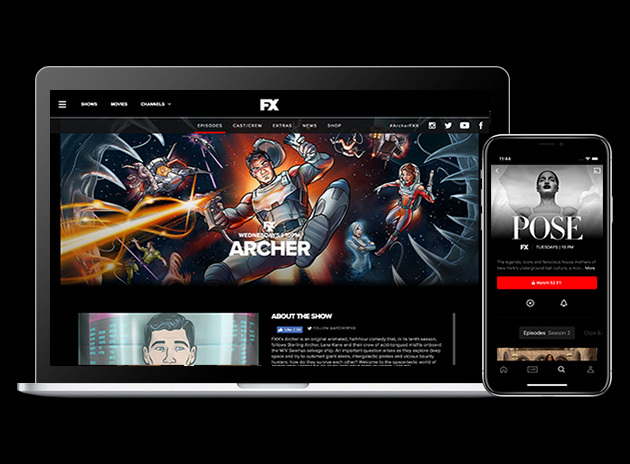 Download the FXNOW App to stream full episodes of your favorite FX and FXX original series. Also, with FXNOW, you get access to EVERY EPISODE EVER of The Simpsons. Take full advantage of the app by creating a profile that allows you to restart live TV, resume watching where you left off, and save your favorite episodes. Once you download FXNOW, upgrade to FX+ to watch nearly 1,500 episodes, including current series, completely ad-free. You can also access a full library of FX Originals like The Shield, Nip/Tuck, and Sons of Anarchy. To see a full list of participating providers click here.